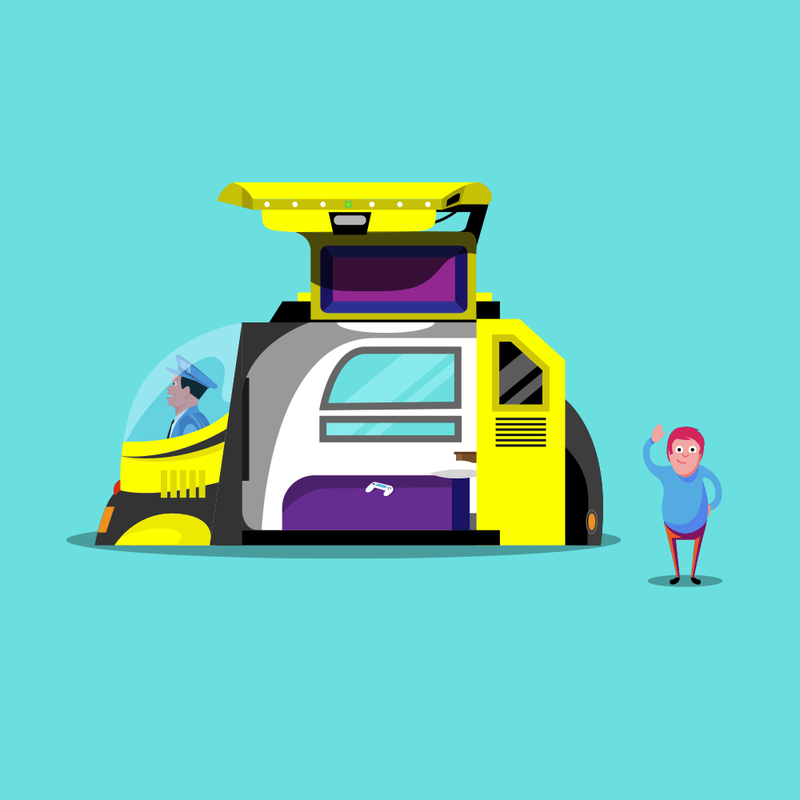 I was asked by UsTwo Auto to come up with a concept for what my idea of a driverless car would be. Instead of sticking to one idea I wanted to create a range of solutions from silly to a bit more down-to-earth. One featured a self-sufficient nature reserve. One was a Helter Skelter. One in particular took reference from the movies with a Back To The Future DeLorean style gull-wing door and taxi driver(Johnny Cab) from Total Recall ! These were printed and made into a book all about their research into the future of autonomous driving. The artwork was also displayed in their studio window in Shoreditch, UK.